A relaxed Ccl1 compression knee high that works with sandals and other open-toed shoes expecially for diabetic patients with cutaneous trophic insufficiency or in case of bunions. Perfect for those who sit or stand throughout the day. The opaque rib-knit is wonderfully soft against the skin. 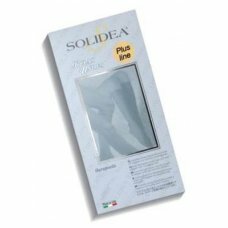 Firm graduated compression boosts circulation to promote healthier legs and feet. Sanitized® hygiene function for all-day freshness.